Life is good . . . until Thane Farace walks into the room. Then its freakin awesome! That’s exactly what happened in a little old place called Thunder Road in Hagerstown last Saturday. Problem Child played to a heavy crowd of fans and rockers that included the one and only guitarist for Ghost of War. Thane was summoned to the stage and what happened next was sick, killer, omg, what just happened. Forget it, no words, just watch. May is for Metal Heads and Merriweather Post Pavillion will be ground zero for the biggest 80’s hair band reunion in the tri-state area; The M3 Festival. This year’s headliner is Swedish glam metal pioneer, Europe. Also appearing: Queensrÿche, Tom Keifer, Kix, Warrant, Dokken, Y&T, Krokus, Dio Disciples, Winery Dogs, L.A. Guns, Quiet Riot, Bang Tango, Vixen, Black N Blue, Trixter, Rhino Bucket, Tyketto, Killer Dwarfs, Bad Seed Rising. On Sundays in the Summer, the City of Frederick hosts the Baker Park Concert Series. Its, free, its outside, and the music acts span genres from Latin funk to rock to country and more. The setting is in the middle of the county park at the Band Shell, which provides a large covered stage and arena style seating built along a slope in the park. Last year Santana Tribute band Gringo Jingo closed out the series in August. Event organizers tell CCL that they have confirmed sought after Americana group Red Molly for this year’s series, check them out in the video below. The 2015 series is sure to be a fun one. Check back here on CCL for the complete 2015 lineup soon. From July 9th through the 11th bikers will replace the throngs of civil war re-enactors from the week before as they gear up for three full days of live music. Southern rock legends, The Outlaws headline Friday’s show and Georgia based hard rock band Jackyl will take the stage on Saturday. Last year, local band Half Serious entertained the crowd, and local acts will also share the SSVape sponsored stage this year as well, including Great Train Robbery, Smokin Gunnz and the ever popular Big Jack AC/DC Tribute. One man inspired this annual salute to his life and his charity and what has grown from a small picnic celebration to an all-day festival/concert event is now a Carroll County tradition. It will be 13 years since the first Toops Troops celebration and it gets bigger and bigger every year. Thousands come, but tickets are hard to come by. It has quickly become Carroll’s premiere summer live music event. This August event has a history of dramatic weather and last year was no exception; it was a rainy, soggy mess – but no less fun. Every just seemed to “roll with it,” literally. Last year’s music lineup was great, with Smokin Gunnz, Big Jack and John Christ guest soloing with Half Serious and more. Here’s to hoping this year will be a dry Toops. This one should be on your bucket list. October 16th and 17th will be the 3rd annual “Stanstock” celebration, which grew from a wish, to a two day rock and roll festival at Timonium Fairgrounds last year. It started as a germ of an idea much like Woodstock did in the 60’s and snowballed into this multiband festival inspired by the popularity of a facebook page celebrating old Baltimore bands. The movements’ spiritual leader, Stan Gibson, a gigging musician from the 50’s and 60’s has kept alive Baltimore music history online, and now with Stanstock. 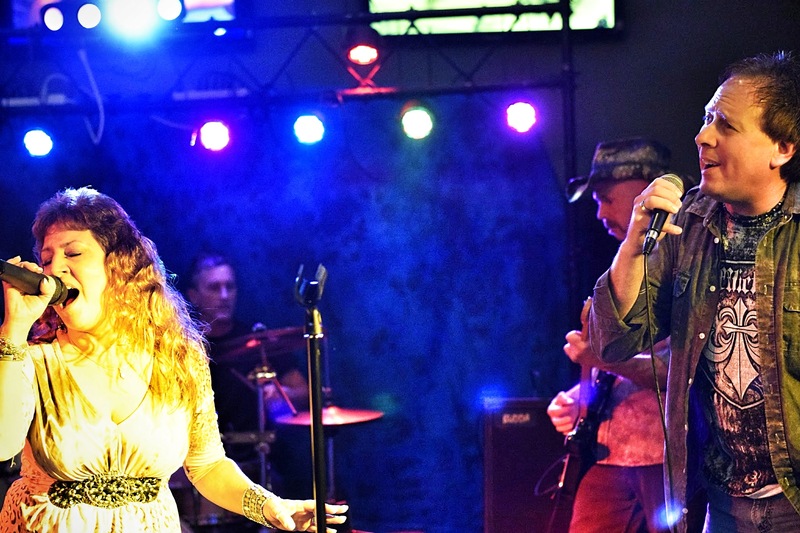 Many of the area’s current music greats graced the Stanstock last year, including Cary Ziegler (of Crack the Sky Fame), Great Train Robbery, Hectic Red and Patty Reese. The vibe at this music festival is like a big high school reunion and the performers pull out all the stops. Stanstock will have the most live acts in one place one two stages over two days. This year’s festival will be at MacAvoys in Parkville. Mark your calendars. Below is a cool sample of what you missed last year at Stanstock. If you know someone at Ticketmaster, a hacker, or have a few thousand dollars on hand, you can score Stones tickets that go on sale this April 13th. You will have to travel a bit though. The closest they get to the Tri-state area is Raleigh, North Carolina and Pittsburgh, PA. Remember, any tour could be their last tour, so if its on your bucket list get your butts in gear to score those tickets!